Last week just flew by because it was awfy hectic in the office. Well, not even in the office but out and about fighting for truth, justice and the, er, Lanarkshire way all over central Scotland. Not to any practical effect, of course. There's also been a bit of bad health news in the extended family, so everything's been a wee bit fraught. 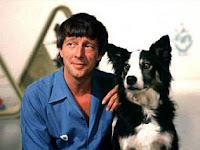 So, it was quite good when Andy suggested taking a few days off and trying to catch one of yon far away hills. One that really justified an overnight stay. Andy's not yet a man who has fully embraced the concept of camping, so a plan was hatched to head north and try to get up Slioch, stay somewhere nearby and then maybe get a wee hill done on the way home next day. To get from Bellshill to the carpark at Incheril on Tuesday took just over four hours. That was significantly quicker than we had thought, and pretty good going in the Defender, which is built for longevity rather than speed. Nae dugs, unusually, but we'd taken a tactical decision that getting a room for the night was more important than treating the dogs to a nice long walk. 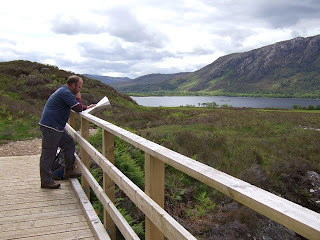 We set off along the path towards Loch Maree about 10:30, in ideal walking conditions. Just enough cloud to keep it reasonably cool, but plenty of sunny spells. This time around things went an awful lot more smoothly. It's amazing what a difference the absence of several feet of fresh snow can make to a hillwalk. It took about an hour to get to the head of the Loch. I went the same wrong way that I had done last time, but that right hand fork in the path is very easy to miss. It certainly wasn't my fault, or anything. Oh dear me, no. Plus, it was an excuse to take a couple of photies. 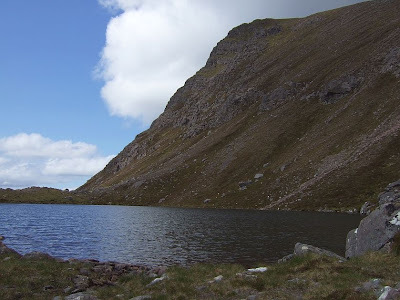 ... and then there's a clear path leading up between Sgurr Dubh and Meall Each, and then on into Coire na Sleaghaich. The route descriptions I'd come across all suggested getting up a steep slope onto the north side of Sgurr Dubh, but once we got into the coire there was an obvious - well, obvious in the conditions we had - path leading relatively gently up to the foot of Slioch's south east ridge. 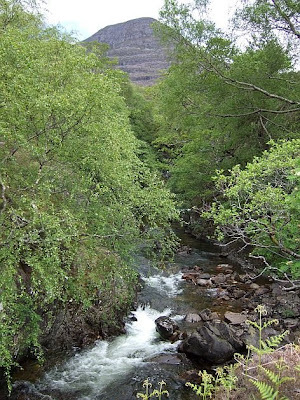 As it turned out, it brings you onto the wee plateau where the twin lochans sit, so it was the ideal route. I'm surprised there seems to be no mention of the path in the books I looked at, as it would certainly be an easier ascent option in the winter. From there, the summit is hardly any distance away. 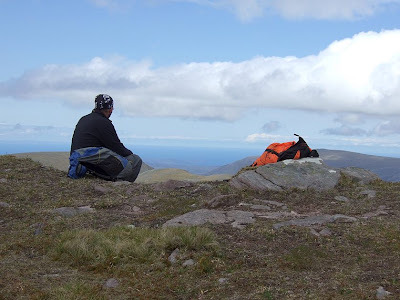 There's still a wee false summit, then a summit with a trig point which isny the summit before you get to the summit summit...but it's still hardly any distance away. 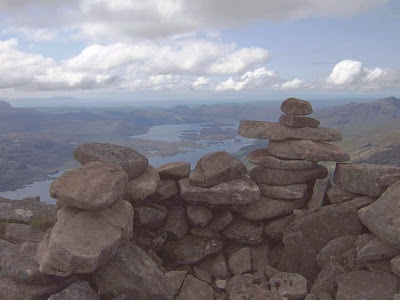 ...and Beinn Tarsuinn to the north west, and even poor wee Fionn Bheinn to the east - it gets rubbish write-ups in the books, but it was the one we had in mind for the Wednesday, as it only takes about four hours! No doubt there's loads of other hills that you should be able to identify, but those were the ones that me and Andy actually recognised, so that's no' bad for starters. 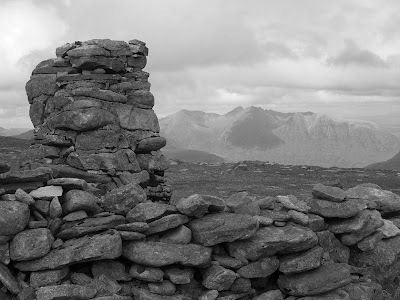 I had been eyeing the ridge to Sgurr Tuill Bhain somewhat warily on the way up, as that was the proposed onward route. It looked fine, albeit narrow, with the exception of one wee bit that had a touch of the particularly narrow about it. Turned out wider than it appeared though, so after visiting the top we descended through some fairly steep heathery nonsense to the corrie and picked up our outward route. We could see a fair amount of rain on the hills to east and west, but the shine continued to shine on the righteous (ahem) and another hour from there saw us back to the footbridge. 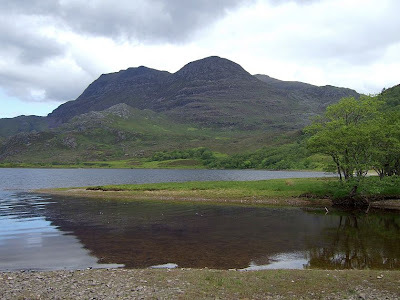 Although the surroundings are undeniably lovely, and Loch Maree may well be consistently described as the most beautiful loch in Scotland, the long walk back to the car was taking the edge off its attractions. Eight hours walking altogether, which I reckon is not bad at all. 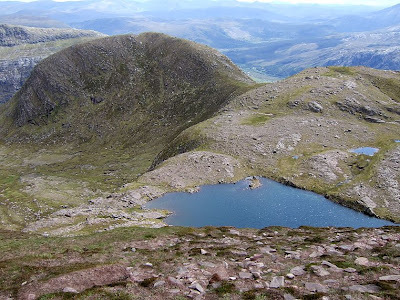 The 6.5 hour estimate on Munro Magic is somewhat optimistic, and it'd be a helluva trek in the winter. In fact I know that, of course, 'cos after 4 hours last time in the snow, I wasn't even at the corrie! It was with a certain sense of satisfaction and relief that we drove 5 minutes to the Kinlochewe Hotel, rather than 4 hours back to central Scotland. A successful day, all things considered.